Pfizer developed a plaque-tinting rinse so kids can brush more effectively, leveraging the Listerine brand into the oral hygiene market for kids. 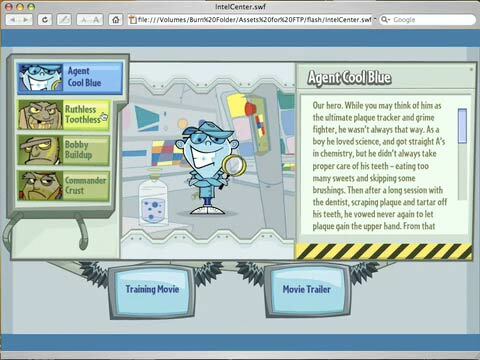 Character Development: Transforming from merely a label element, the existing Agent Cool Blue character was fleshed out into an aspirational hero against his newly created villains,The Plaque Pack. 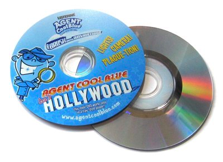 Animated DVD Movie: “Agent Cool Blue Goes To Hollywood.” ACB saves the beautiul Celebrity Starr from the evil plot of the Plaque Pack. 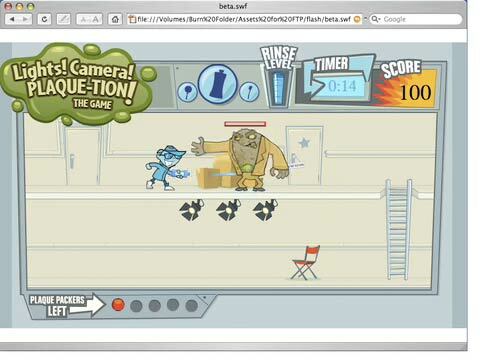 Includes interactive game and sweepstakes. Promotional Packaging and Bottle Topper. 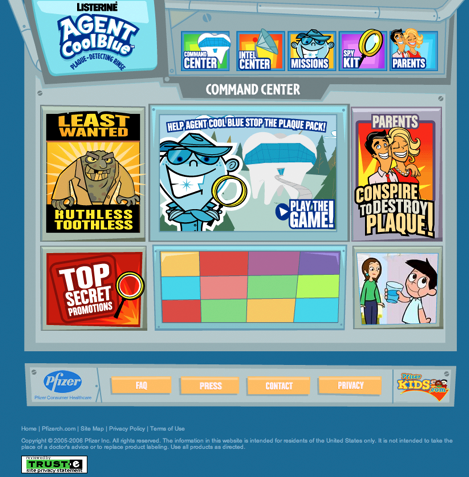 Website: Kid+Parent-targeted, featuring a videogame, Agent Cool Blue HQ, Plaque Pack dossiers, and oral care tips. RESULTS: In just one week, 1.2 million units sold, far exceeding goals. Product sold out after first 3 months.